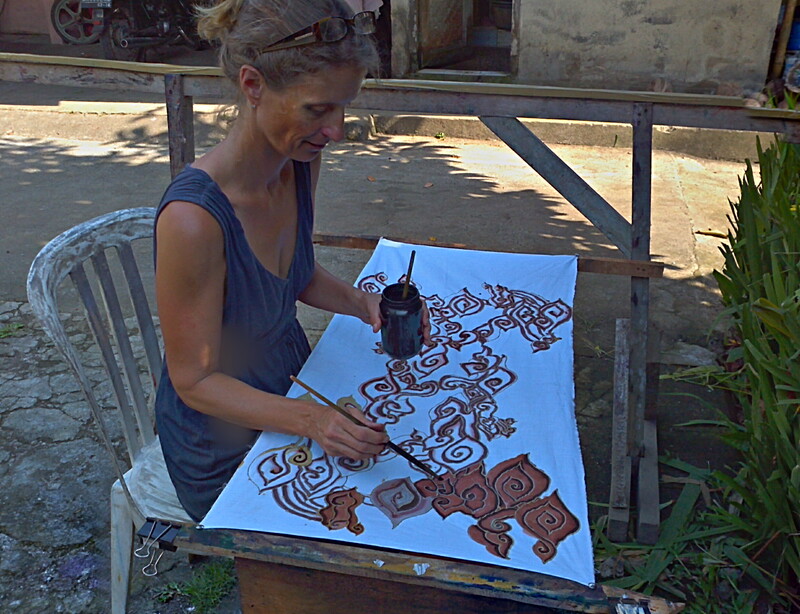 Painting my batik. The dyes became green and blue by the end of the process. | Where Is Annie?